Will Brands Like Acer Be Able To Compete In A Crowded Tablet Market? It”s true that you can, in fact, have too much of a good thing. Take your tech for example. The market for specific models of tech can easily become over flooded with different brands and makes. It’s all a matter of who can stand out the most these days. Obviously there are a few powerhouse brands that you don’t ever need to worry about. Samsung, Google, Apple, and even Amazon are having no trouble staying afloat with their products. Other companies like Acer, may be having a bit more of an issue with their products’ sales. Acer has been falling through the cracks lately it would seem, in the tablet market. They have always been the brand that people tend to look at as the “budget” brand. That is not to say that their products aren’t quality. They tend to offer mid-level tech at the budget cost. It’s really not a bad way to market if you think about it. That being said, the tablet market specifically seems to be overflowing with new makes and models from different brands. It’s as if a new one comes out almost daily. With this specific market becoming as crowded as it has been getting, it’s becoming increasingly more difficult for certain brands to stay afloat. Naturally, the top dogs like Apple and Samsung will have no trouble keeping up as their brand has honestly become something of a fashion statement. No matter the price range, their tablets and other products will continue to sell. Then you have companies like Acer. 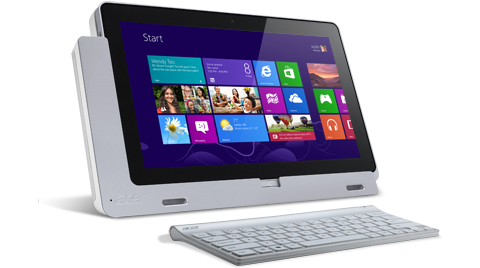 Acer recently debuted two new tablets to their product line; The Acer Iconia One 7 and the Iconia Tab 7. Both of these tablets were designed to be put within the lower end spectrum of tablets. That being said though, one is obviously a bit more flashy than the other. The Iconia One 7 has been designed in 6 different colors and has done it’s best to give off a very “kid-friendly” vibe. The One 7, upon closer inspection and feel, tends to be a bit like Amazon’s Kindle Fire. An Intel Atom Z2560 1.6GHz duel-core processor will be supplying your power, accompanied by only 1GB of RAM. It comes with either 8 or 16 gigs of hard drive storage directly on the tablet itself, but also comes with a Micro SD slot for additional storage. The Acer Tab 7 is a lot like the One 7, but with a slight boost in the device’s specs. 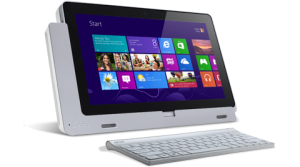 Instead of a duel-core processor, the Tab 7 will be working with a quad-core 1.3 GHz Media Tek MT8382 processing unit. It will also sport a 5 megapixel rear facing camera, as opposed to the Iconia One 7’s 2 megapixel rear facing camera. This new tablet will also come with 3G support allowing for wireless data packages and even phone calls. These types of products from Acer are all well and good, but they may be forgetting one thing. People don’t want mediocre products. People want the best of the best when it comes to tech, and they want it now. Attention spans and patience are growing shorter and thinner to the average consumer. This isn’t to say that Acer’s products aren’t quality. However, in comparison to tablets from the bigger name brands, they may come across that way. Unless Acer starts putting in everything they have and implementing a stellar marketing plan, they may not be in the tablet market for much longer.